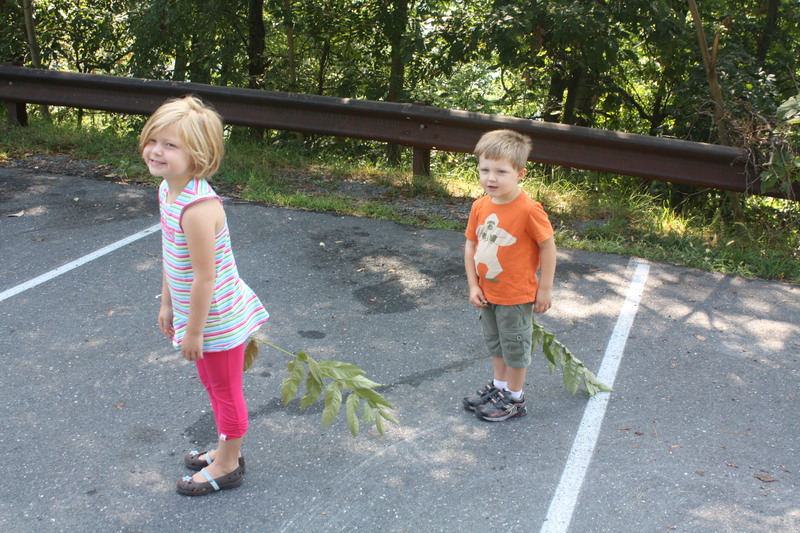 Hurricane Irene came through Maryland Saturday night. While we were braced and ready for a doozy, all we got was a lot of rain and some strong winds. Nothing major, and thankfully we did not lose power but for a second in the middle of the night. I know there are many out there still without power, and for those of you, I hope it comes back soon! The one key place that lost power, though, is Mason’s new elementary school. We got word late Sunday night that there was a chance school would not begin today, Monday. They said they would know by 6am this morning. I woke up at 6:15 and quickly checked my email. No school. Mason’s school is one of only seven in the whole county still without power. So much for all the hoopla we had been doing all weekend to make sure Mason was ready and excited for the new adventure of public school. But really the day became a blessing in disguise. I took the day off so I could have one last “Mommy and Mason” day before I send my first-born off to kindergarten tomorrow. It was the best choice I could have made. It was exactly what I needed, and I hope what she needed as well. Seriously, it was the best day! And to be able to do all that with 75-degree weather… well, it just really couldn’t get any better. I was relaxed and focused on Mason (and Cooper when he got home.) As of now (8:30pm), there is still no power at Mason’s school, so the first day of kindergarten might be delayed yet again. Sadly, I can’t do this again tomorrow due to work pressures, so I’ll just have to file this one last hoorah in my memory bank and carry it with me. The images in my mind are a thousand times better than any camera could have caught. Time flies when you’re having fun – or just don’t have time for anything outside of work! Ok, that’s the last time I’ll use that as an excuse. I know it’s getting old. But I really can’t believe I am just now downloading the pictures from our trip to Ohio that was now over a week ago. Yes, we hopped in our car again for yet another 9 hour car drive each way. 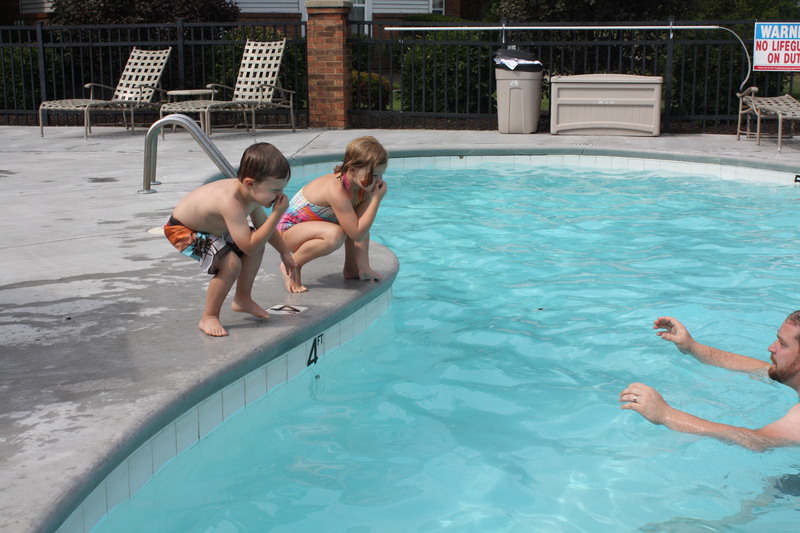 This time we had some help with keeping the kids occupied since we drove out in a caravan with Nana, Papa, and Kristin. It definitely helped to have one kid in each car, although you can only imagine the “fights” about who went in Papa’s car and who rode in our car. Oy. 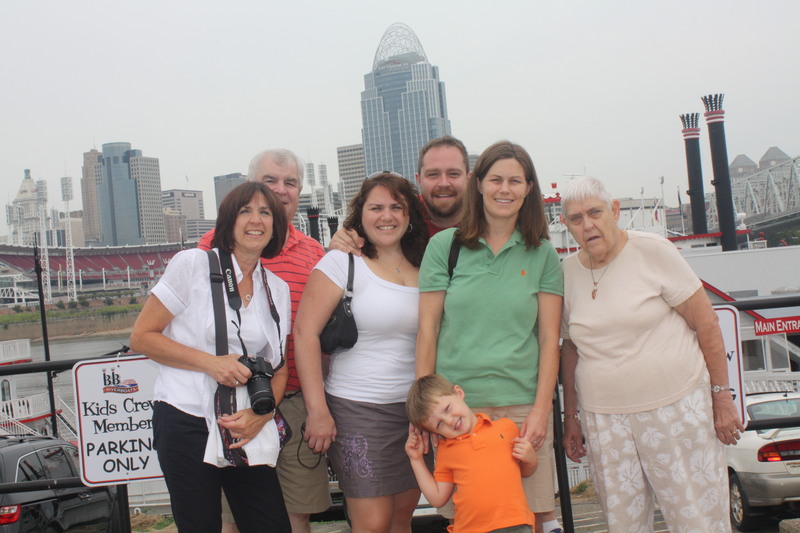 It was great to be able to see that side of Jeremy’s family and to experience Cincinnati. Here are some of the highlights. Getting ready for our riverboat cruise on the Ohio River. 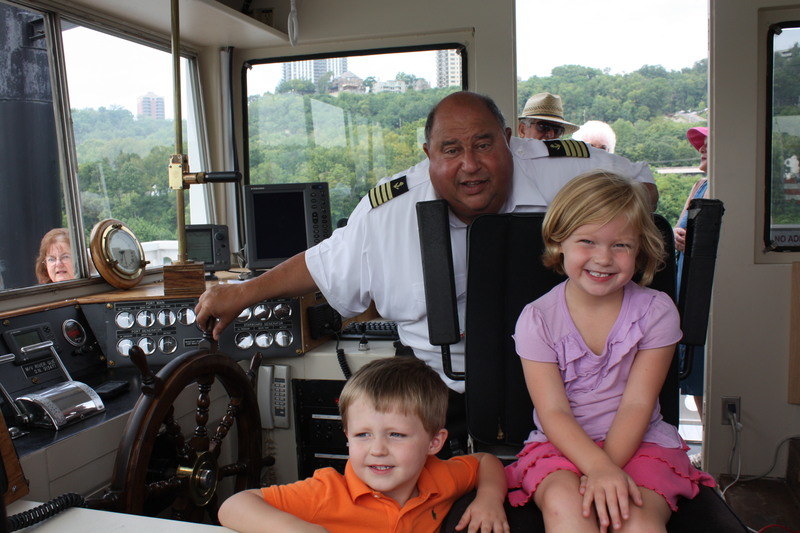 The kids got to meet the captain. 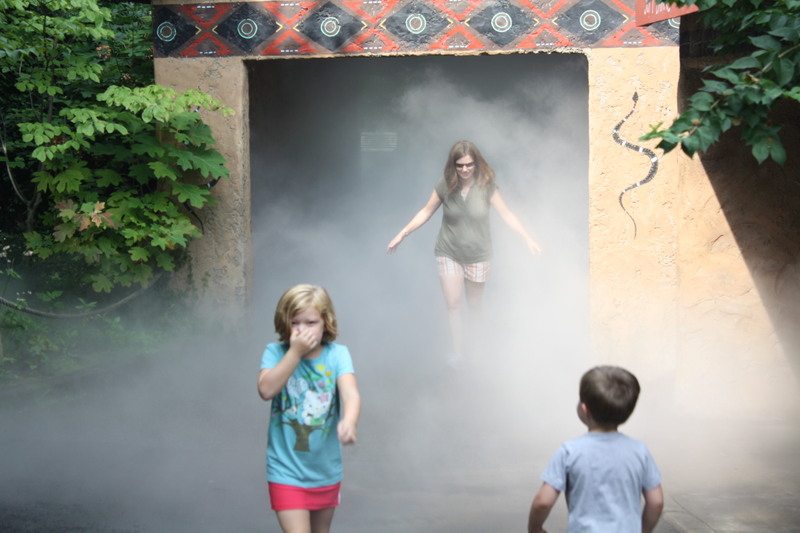 The mist tunnel at the Cincinnati Zoo was quite a hit, especially for such a hot day. 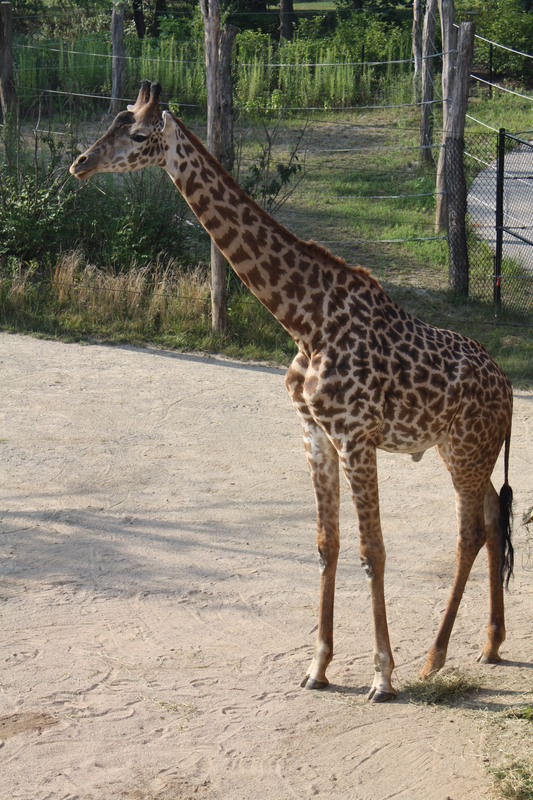 I LOVE giraffes! Since the National Zoo doesn't have them anymore, I get so excited to see them at other zoos. 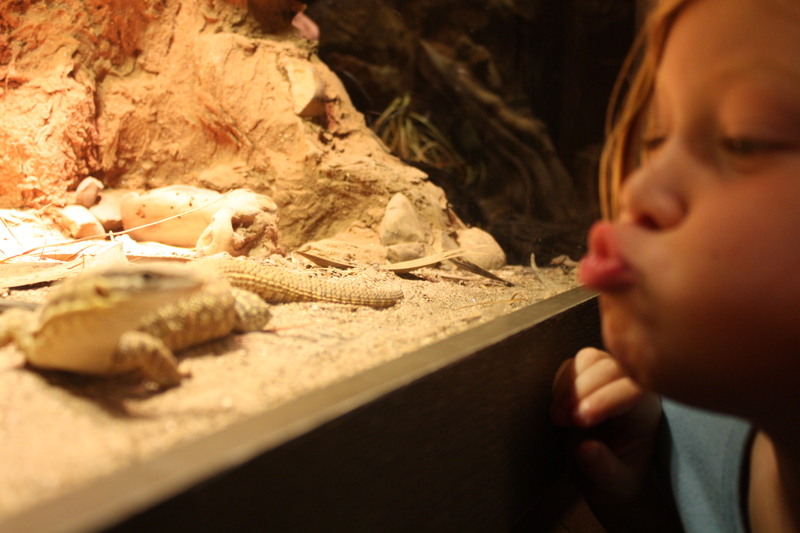 Do lizards turn into princes too? 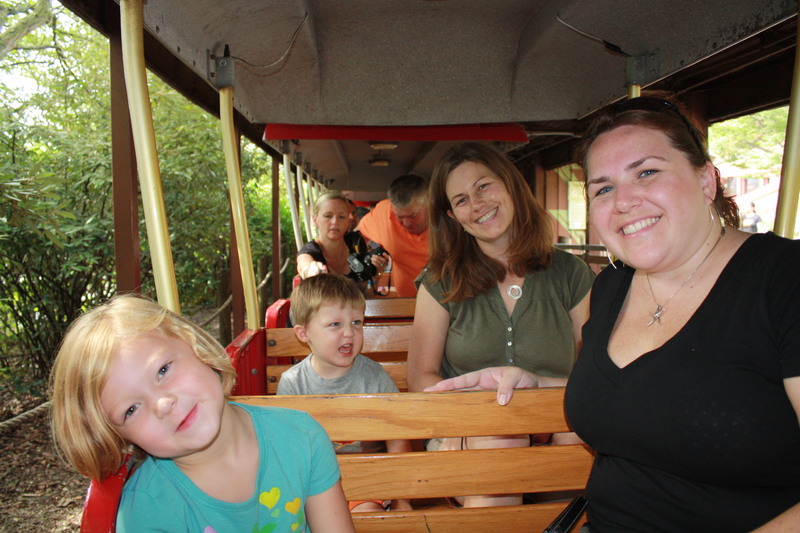 Zoo trains are always a good time for all. The main reason for our visit was to celebrate Jeremy’s grandmother’s 80th birthday. At the actual party, I was busy using his grandmother’s camera to take pictures for her, and Jeremy was busy keeping the kids entertained. So we got no pictures with our own camera. Bummer! But we all had fun together and enjoyed the last bit of summer travel to O-HI-O! “Productive” to me could mean many things. Some of those things sound appealing to me, but others don’t. Can you guess which ones are which? Exercising – Sometimes appealing, but I’m just not a nighttime exerciser. Writing notes to friends – I definitely want to do more of this. Reading blogs – I actually can do this while watching TV. Yes, I’m a multi-tasker! Playing a game with Jeremy – Unappealing because he always wins! 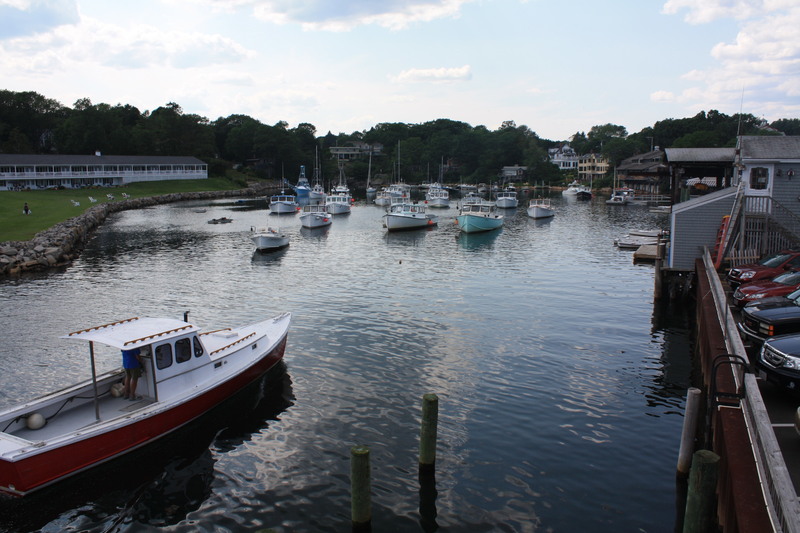 Conversing with Jeremy – No offense to the hubs, but my brain is mush at night. The deep stuff is better saved for long car rides. Cleaning – Umm… Yeah, definitely unappealing! So why do I feel guilty, you ask? I feel guilty lately because of the whole control issue I’ve been having. If I’m so overwhelmed and feel out of control, shouldn’t I be using the time at night to catch up and take control? In my mind, yes! But I don’t want to. And I need some down time. I’m trying to change my guilt, though. I’m currently reading “The Happiness Project.” And while I am still only on Chapter 6, and it has taken me months to get to this point, I am thoroughly enjoying it. Not enough to read it instead of TV, though! One of the things the author wrote about stuck with me. Basically she discovered that we often take on hobbies because we see other people enjoy them and be happy and therefore we do them thinking they’ll make us happy. But the reality is that we’re not doing it truly for ourselves and therefore can’t get full happiness out of it. Reading at night is the perfect example. I know many people who would rather read than watch TV. They go through endless books. I saw that hobby as intellectual and better for the mind – much more so than watching lame TV – so I felt I should be doing it too. I tried. I fell asleep. I didn’t like it. I’d rather be watching TV. So after getting through this chapter in “The Happiness Project,” I realized that I need to do what I WANT to do at night. Not what others do. Not what I think would portray myself in a better light. Not what I think is better for me. It’s MY time. And I realize I love TV, and there is nothing wrong about that. I’m just a TV person. I watch all types of things. Travel Channel, HD Theater, HGTV, sitcoms, reality shows, sports… It’s what I do. It’s my hobby. And I don’t want to feel guilty about it anymore. I haven’t wanted to write about this in fear of jinxing myself. But it’s the “good” in many of my days, so I feel I have to share. Ever since we got back from vacation, the kids have gradually gotten better. They smile more. They fight less. They help more. They whine less (sort of!) They think about others. They work with each other. It’s pretty awesome. Cooper has turned back into my sweet little boy, instead of the terror 3-year-old he was being. He still has his moments (especially at bedtime), but mostly, he’s just sweet and cuddly and loves to talk. 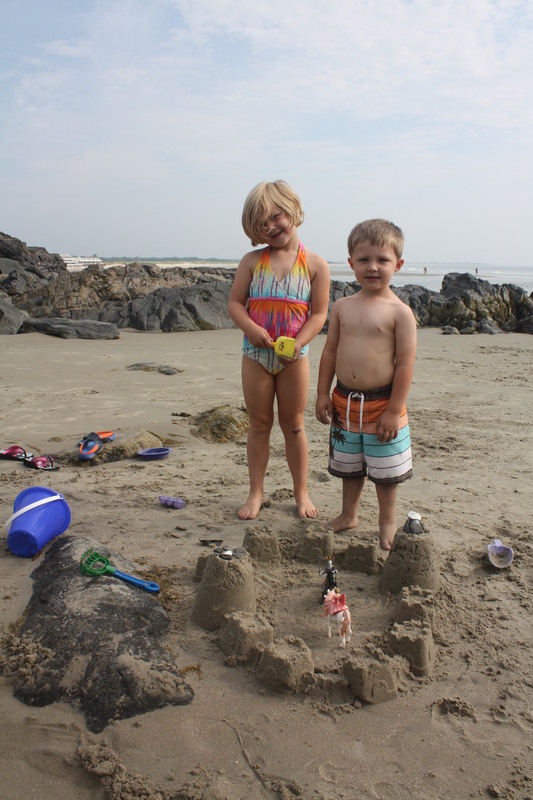 And I’m loving it right now as we get ready to send our eldest to kindergarten – just more proof that my first-born is growing up, and time is moving too fast. Mason is quite the big girl. She has matured so much this summer. Part of it was not a good mature – learning new things that were definitely beyond her age! But most of it is a joy to watch. She’s tying her own shoes. She’s about to lose her first tooth (more to come on that!) 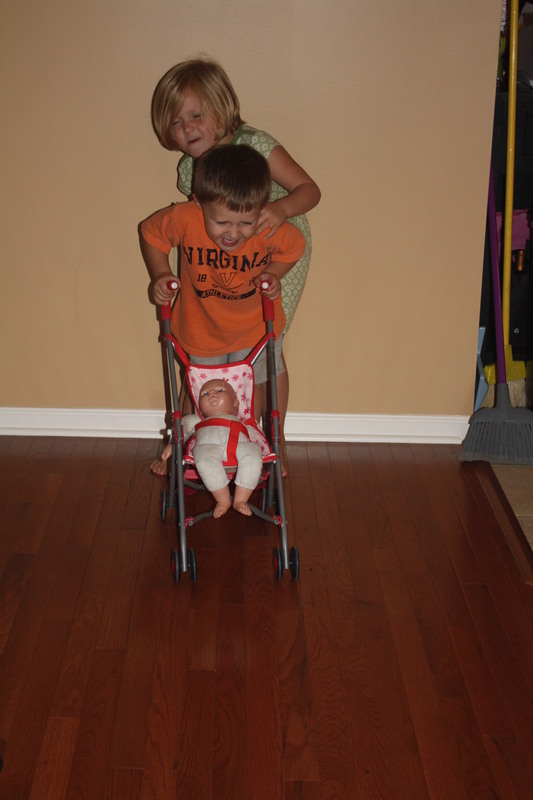 She’s helping her little brother and helping us. What a change! So does writing this mean that by tomorrow they will be back to their pre-vacation ways? I sure hope not. Hanging with my kids these days is my highlight. I laugh. I smile. Life is good when we’re together. Ok, JINX! 1, 2, 3, 4, 5…. 10!!! And yes, I’ve been knocking on wood the entire time I have been writing this post. Oh, I hope it works! 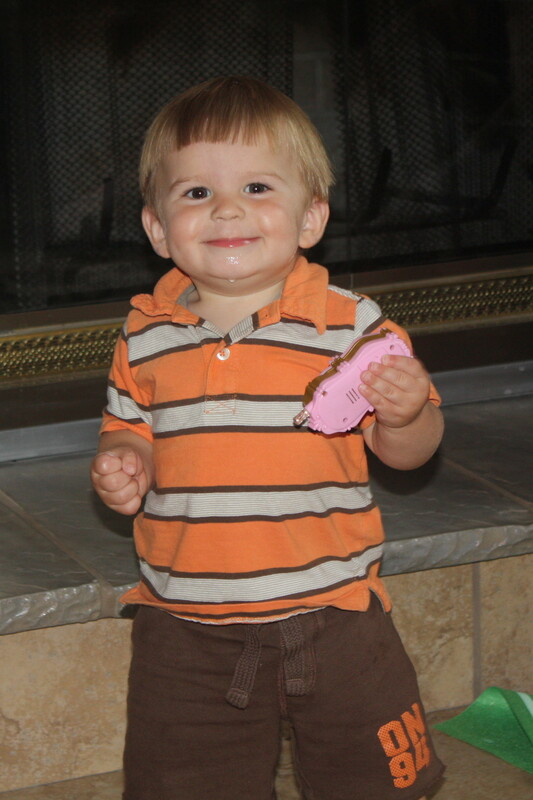 He’s almost 14 months – just about the same age Mason was when she started to walk. He’s a cutie-patootie, that’s for sure! Just look at that smile. He loves his cousins. He loves his mommy and daddy. He loves his Meema. (Not so sure about his aunt, though!) And he is loved by all. We’ve got some pretty cute kids in this family. How did we get so lucky? That is what I keep having to tell myself every single day. Just breathe. Time is moving fast. Work is taking over. I’ve lost control, and I just need to breathe. I think I mentioned before that I have never been this busy or worked this hard in my life. Since our company was acquired by a billion dollar company with over 5,000 employees (compared to our 20), I have taken over a lot more responsibilities that seem to all require immediate attention. It’s insane! Part of me loves being busy and loves learning new things, but part of me hates it every single day. It’s a struggle to go to work in the morning, and I’m not used to that. I don’t know if I hate my job or just the circumstances. I hope the latter… and I hope they change. The hardest part of all of this is just the loss of control. I used to have control of work – I knew the systems. I knew the people. I was the one who could answer almost any question. I was the one people came to for help. Now I don’t know the systems. I am meeting new people every day. I am the one asking tons of questions. And when people come to me for help, I rarely know the answer or I’m making it up and hoping I’m right. I used to have control at home – I knew where our money was going. I knew what my kids were doing. I sent birthday cards in time. I made meal plans. I was eager to entertain with friends and family. Now I rarely check our Mint.com account, so let’s hope we don’t go in the negative. I feel separated from my kids and what they’re doing. I’m lucky if I get birthday cards out at all. Dinners are spontaneous and poorly planned. And I feel very disconnected from friends and family because of our crazy schedule. All of this is hard to handle for someone like me. I need control. I need organization. I need to know what I’m doing and where I’m going. I need to breathe. I know things will get better. Or at least I’m really hoping they do. I know I can get control. But I just don’t know how soon. Not only is Mason starting kindergarten in two weeks, but we’ll be moving our office within the next couple of months. Life as we know it in our 2 mile radius during the week is about to change. My 2-block commute is about to get much longer. I’m excited, but nervous about what is ahead. Now I hope this doesn’t sound like a big blog of complaints. I don’t feel like I have the energy to complain. I am just telling my feelings, my thoughts. Maybe I’m giving excuses – for why I’m not calling you or emailing you or writing more blogs. Maybe I just needed to vent. But mostly, I just needed to take a minute and breathe.